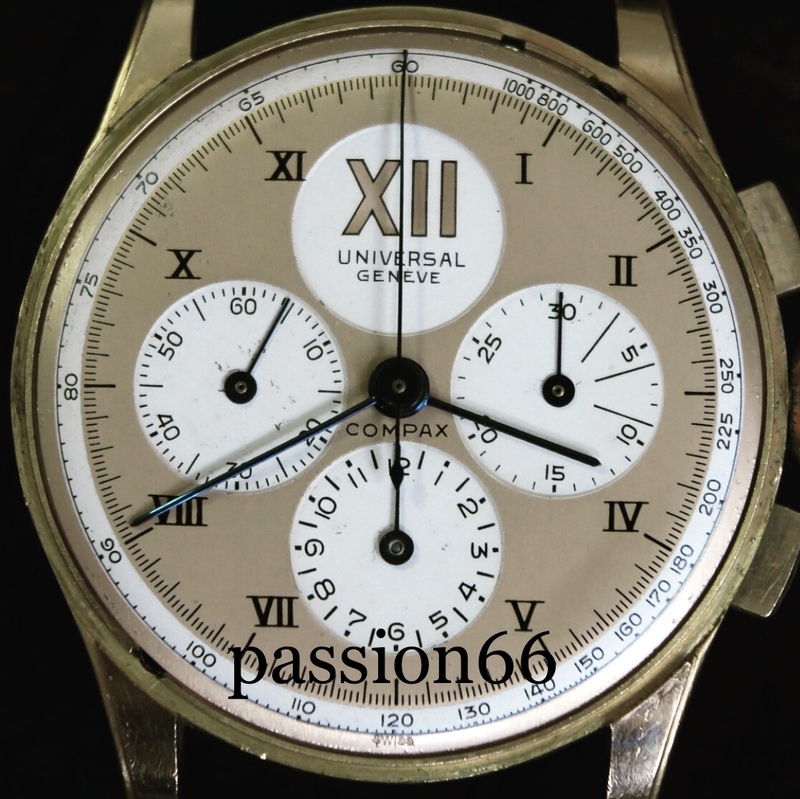 FS: EXTREMELY RARE Universal Geneve Compax big XII - Unmolested! 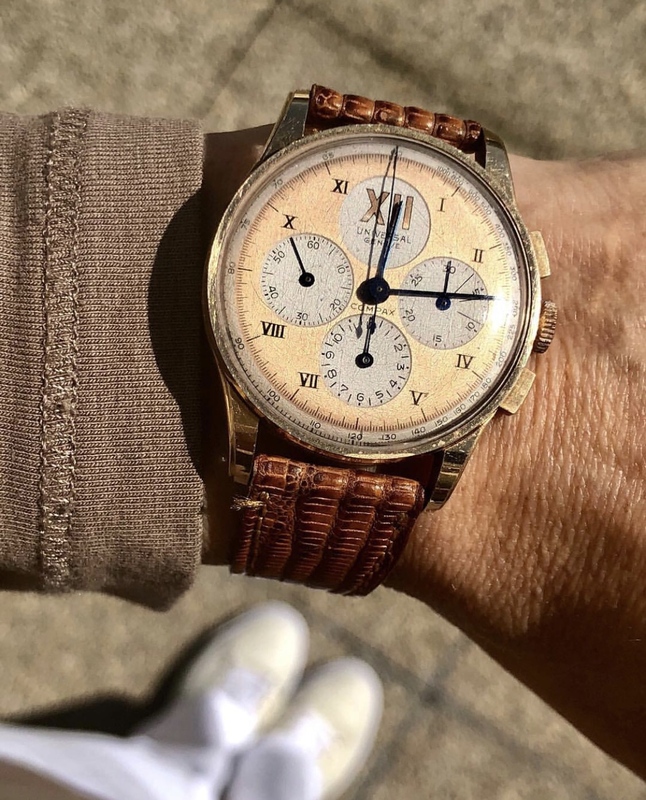 Up for sale this Extremely Rare and Unique Universal Geneve Compax Chonograph with big Roman numeral XII dial that is untouched, all 100% original and unrestored. Movement signed Universal Geneve Cal. 481 with number: 184953 working perfectly. Dial has some slight signs of wear on counter at 9 o’clock. Rose gold case never polished and number: ‪12250-923973‬ that measures 35mm w/crown. Please feel free to contact if you have a serious Interest and I’ll be happy to reply at any question and also be happy to send you more pics.